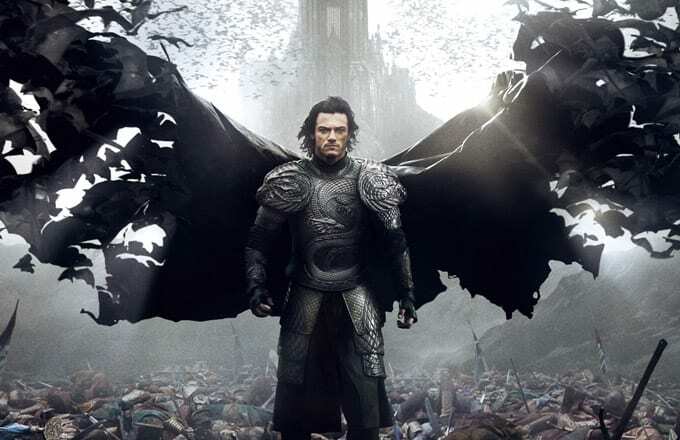 Did anyone see this Dracula Untold movie becoming a hit? I really thought this movie was going the way of the flop-ish I, Frankenstein, but the Count Dracula-goes-badass origin story brought in $23.4 million to take the No. 2 spot at the box office this weekend, according to studio estimates. That makes it the top debut of the week. Another big debut, the Robert Downey Jr.-Robert Duvall drama, The Judge –​ which many guessed would have been near the top this week – underperformed by bringing in only $13.3 million to land in the No. 5 spot. Gone Girl, aka the worst date movie of all time, held on to the No. 1 spot for the second straight week by grossing $26.8 million to bring its domestic total to $78.28 million. Also new this week, Alexander and the Terrible, Horrible, No Good, Very Bad Day, debuted in third with $19.1 million, while scary doll movie Annabelle was fourth with $16.3 million.